In this episode, we talk about how we stay connected and build relationships with our clients and customers. Katie talks about her new customer relations management process, and Sara shares how she approaches relationship building with her clients across the internet. 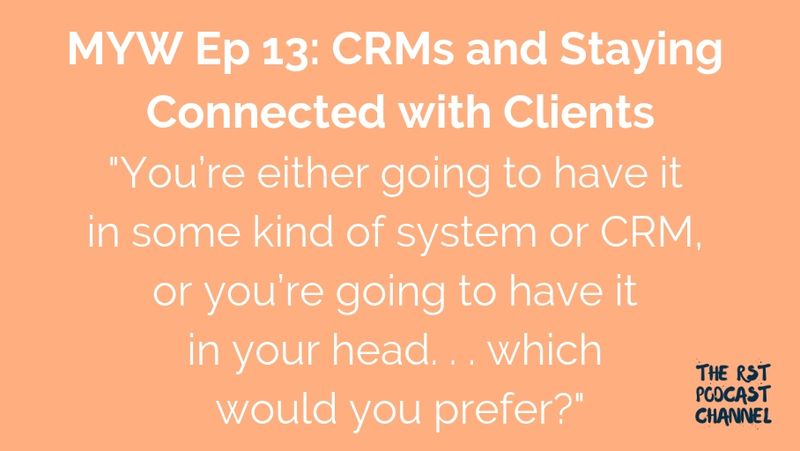 We discuss the issue of hitting tension points in your business and how systems like a CRM can help you get organized. Transcript (.docx) – coming soon! What CRMs do we use, and how do they help is keep track of our clients and how they interact with you? How are do relate with potential clients? How do we try to reach them?